Oppo claims that the Find X is a 'new futuristic flagship smartphone', but details on the handset are hard to come by. This flagship offering from the Chinese firm has been subject to one leaked render, which suggests it'll boast a triple camera setup on its rear and a notch at the top of a large display. The same render doesn't appear to show a fingerprint scanner on the the Find X, leading to suggestions that the device may have one built into the display - much like the Vivo X21 and Porsche Design Huawei Mate RS. 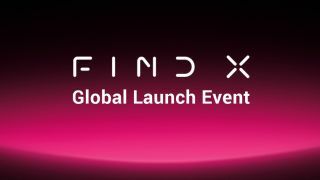 TechRadar will be reporting live from the Oppo Find X launch event on June 19 to bring you all the latest on this new flagship smartphone, and where you'll be able to actually buy it.